Exchanging the front fork springs is one of the most cost effective way to improve the bike's front fork. Together with the specifically developed high-quality oil from Öhlins, a considerable improvement in the responsiveness and performance of an original fork can be achieved. 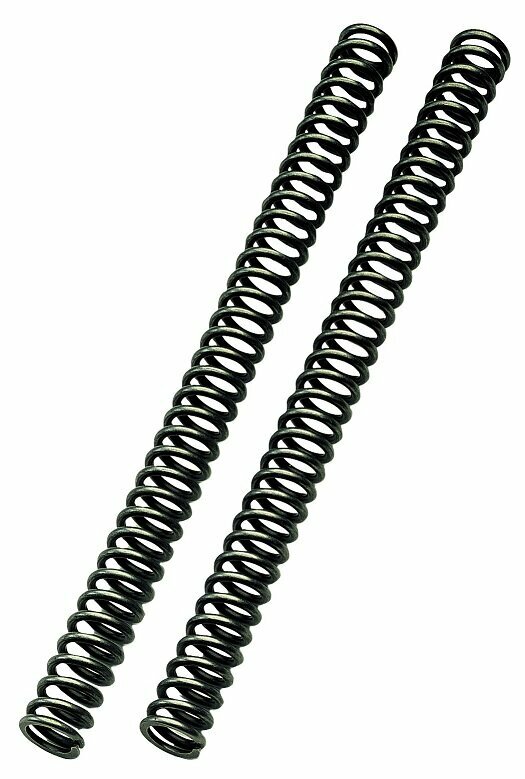 Öhlins offers a wide range of linear springs to suit each individual type of bike, rider weight and personal preferences for installation into the standard front fork. Well chosen material and high-end manufacturing guarantee less the 1,5% difference regarding spring rate.